Veteran sailor and writer Christian Williams invites us along once again on a 5,000-mile voyage of discovery around the North Pacific. Equipped with a new boat, a well-stocked toolbox, and the entire history of philosophic thought, he takes us as crew through squalls and calms deep into a laboratory of the universe that exists only out of sight of land. Funny, erudite, and at times deeply personal, Philosophy of Sailing explores who we are and how encounters with the unknown can be a path to revelation and joy. A heading is required... " A heading"
After suffering an emotionally-brutal bereavement and against her counselor's advice, Jackie ran away. Suddenly within a new culture, with a new husband and no friends, she was living in the obscure world of cruising with zero knowledge of boats. great personal memoir and life adventure. There are many of us who dream about selling all our stuff, quitting our jobs, and running away to Paradise. This is a story about one couple who made that dream come true. The author shares what it feels like to experience ultimate freedom, and outlines the steps they took to get there. The story includes tales from their travels, social commentary on the state of today's American society, and a simple financial plan that will benefit anyone, regardless of their future goals. In 1968, nine sailors set off on the most daring race ever held: to single-handedly circumnavigate the globe nonstop. It was a feat that had never been accomplished and one that would forever change the face of sailing. Ten months later, only one of the nine men would cross the finish line and earn fame, wealth, and glory. For the others, the reward was madness, failure, and death. 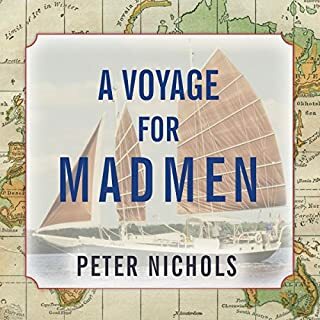 In this extraordinary book, Peter Nichols chronicles a contest of the individual against the sea, waged at a time before cell phones and electronic positioning systems. One of the best, most disturbing, and insightful. Sail with Mary and Bruce on a 13,000-mile adventure from Seattle to legendary South Pacific Islands and home again. From magical sights and scents of their first tropical island landfall to the bustling, colorful Tahitian markets. From sudden midnight squalls and a cyclone in Samoa to pristine anchorages in the Kingdom of Tonga. Share the adventure as they fulfill their dream. 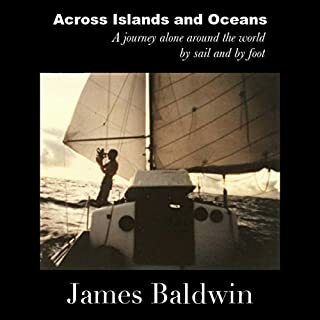 Across Islands and Oceans is the memoir of 25 year-old James Baldwin and his epic two-year, solo circumnavigation in Atom, his trusty but aging 28-foot sailboat. After sailing 300,000 miles and weathering dozens of storms in all the world's oceans, John Kretschmer has plenty of stories and advice to share. John's offshore training passages sell out a year in advance, and his entertaining presentations are popular at boat shows and yacht clubs all over the English-speaking world. John's talent for storytelling enchants his audience as it soaks up the lessons he learned during his often challenging voyages. Now you can take a seat next to John - at a lesser cost - and get the knowledge you need to fulfill your own dream of blue-water adventure. Winner of three independent book awards: NIEA, Readers' Favorites and Beverly Hills Book Awards. Obsessed with sailing, Leslie Nack's larger-than-life Norwegian father has a dream to live on a sailboat and show his three daughters the world. And although it takes years, in 1975 he finally completes his preparation and sets his sights on French Polynesia. Bound for Distant Seas begins sailing author James Baldwin's epic tale of his second circumnavigation. His story is seasoned by his adventures during his first circumnavigation in 1984-86 as told in Across Islands and Oceans. Alone with little money aboard Atom, his now-engineless 28-foot sailboat, James embarks on his odyssey without the comforts and equipment most sailors consider essential. From Poop to Booze to Bikinis, he covers the funnier side of the issues encountered by boaters all of types. With chapters like Signs You Live on a Boat, Stupid People on Rental Equipment, and Zombies Can't Swim, you'll find plenty of laughs. There's even a chapter for Tim Dorsey fans. 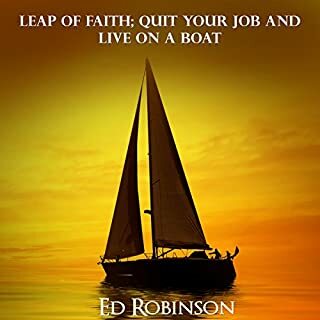 If you are a liveaboard, cruiser, weekender, wannabe boater, have boating friends, or are just a fan of Ed Robinson's wit, you will enjoy this light hearted romp through many maritime topics. Narrated in his own voice, in this third book about his travels aboard the 28-foot sailboat Atom, James Baldwin creates an ode to the sea and to those who venture upon her in small voyaging sailboats. The Next Distant Sea continues the memoir of his second adventurous circumnavigation as begun in his earlier book Bound for Distant Seas. In A Foolish Voyage, Neil Hawkesford gives us a remarkable tale not just about sailing but about life. Good times and bad. Here we learn what happens at the very limits of physical, emotional, and mental endurance. Here we also learn how personal tragedy can lead to a life-changing discovery, the realization that hidden deep inside all of us is the perseverance and passion needed for achieving life's greatest goals. 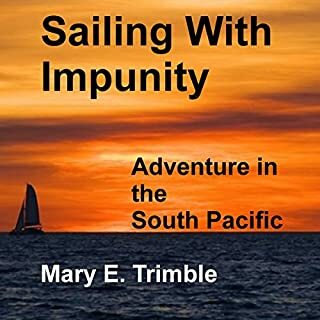 This audiobook is the story of sailing across the ocean from Guam to San Francisco on our wonderful sailboat, the "Spirit of the Wind", a 41 foot Taiwan-built Ketch designed by William Garden. A group of 20-something kids went to Guam looking for the meaning of life, bought a boat, fixed it up, and learned to sail across the ocean. It was a beautiful and spiritual journey, while at times was totally and completely terrifying. It introduced me to the South Pacific Islands and the wonderful and gracious people there - it was truly a paradise. Stuart Woods had never owned more than a dinghy before setting out on one of the world's most demanding sea voyages, navigating single-handedly across the Atlantic. How, at the age of 37, did this self-proclaimed novice go from small ponds to the big sea? Now with a new afterword that looks back at how one transatlantic race changed his life, Woods takes listeners on a spectacular journey not just of traveling across the world, but of being tried in fire, learning by accepting challenges, appreciating the beauty of the open water, and living to tell about it. They rescued five horses from an unknown fate. They sold everything they had. Jackie and Noel trained the lost and confused horses, and forced their own unfit bodies to meld into one team. Life became horses, trail, endurance, and camping: all seven reliant on one another as they trekked along part of Australia's majestic Bicentennial National Trail. The beauty of the trail didn't lessen its dangers; with minimal support and all their worldly possessions on horseback, Jackie and Noel made mistakes and, with humour, learned the hard way. Sailing, Yachts and Yarns is a selection of Tom Cunliffe’s funniest, wisest and most thought-provoking writing from the pages of Yachting Monthly. Tom’s love of language and sense of humour shine through as he recalls the wealth of sinners and saints he has met on docksides from Southampton to South America, Greenwich to Greenland and Newtown to New York. He has a gift for capturing the magic of sail and finding pearls of practical wisdom in the most unlikely nautical adventures. What happens when a man of today's overconnected world sets off alone across the Pacific at the age of 71? 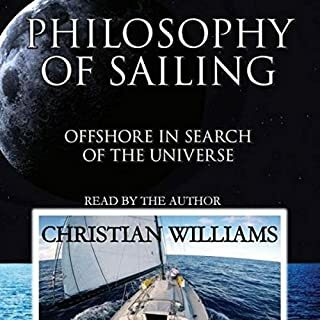 Christian Williams, a veteran sailor and writer, planned a 6,000-mile voyage as a test of his own seamanship and endurance, and to fulfill a lifelong goal. But he found his focus quickly turning from the surrounding sea to all of us. Is anyone the same person when no one else is there? Do we dare to find out? "We are from Australia, we have cash, and we have jet-lag and a desperate stare in our eye. In short, we are mugs ready to be led down the path of nautical slavery. If you can't sell us a boat, there is something very wrong." The pull of the ocean was too strong to ignore any longer. Four years prior, they'd circumnavigated the globe on their 33-foot boat, Mariah. Now they wanted a new challenge. Then Jackie and Noel set sail south, meeting descendants of the Bounty mutineers on Pitcairn, taking in the grand statues of Easter Island, and finally visiting the remotest inhabited island in the world. Would you consider the audio edition of This Is It to be better than the print version? Definitely....There are so many anecdotes and distressing experiences interlaced throughout the tale, the print version may have gotten tedious. What was one of the most memorable moments of This Is It? The shark and night time storm adventures stand out as most memorable. What does Caroline Doughty bring to the story that you wouldn’t experience if you just read the book? Caroline Doughty does a superb job of bringing the story to life through clear and melodic narration. 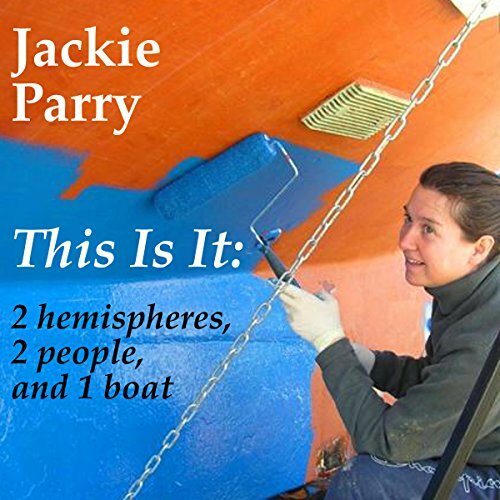 Her reading of "This is it..." instills the right amount of personality into the author’s "1st person” telling of life at sea (which varied dramatically between harrowing and mundane experiences). Would welcome listening to additional books narrated by Ms. Doughty. Not necessarily. It was an impressive journey, however, and I have renewed respect for those who live on a sailboat and travel across the ocean for prolonged periods of time. This was my first audio book, since attempting to listen to Harry Potter in the car on college tours w/my now-26 year old daughter. Listening to this from start to finish inspired me to be more open to audio in the future. What about Caroline Doughty’s performance did you like? Can't believe how good Caroline Doughty is! The debut of a natural. I'll be looking for any book Caroline Doughty narrates. Fantastic... Couldn't put this down! Where does This Is It rank among all the audiobooks you’ve listened to so far? Provides a truely realistic portrayal of life cruising. Insightful and inspirational. Thank you! Fantastic, well written and narrated - thank you! I'm a sucker for sailing adventure stories. Have been since I was 12 and read Robin Lee Graham's circumnavigation memoir. This story of courage, determination, grit and love, as told by a woman who is beginning to wonder how many voyages she and her husband have left in their lives, is compelling and modern. Caroline Doughty is the perfect pick to narrate Parry's story. The deep resonance of her voice matches the grounded wisdom of a woman in her 40s, while there's also a melodic lilt that reflects an enduring passion for the world and the delightful people we all get to meet if we would just sail our own little boats out of safe harbor.